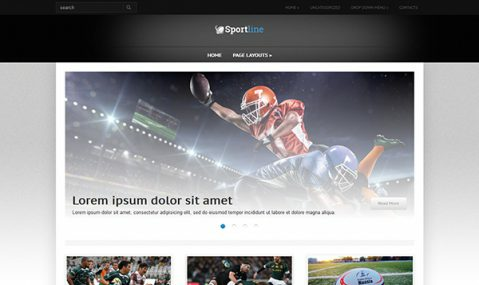 If you gonna build an online sport magazine for all basketball, ragby, football lovers and others, the SportLine premium WordPress theme is what you are searching for all this time. Central part of header is devoted to your logotype, so readers of site won’t forget your name and come to your website again and again. Isn’t that the main key to your popularity? Select any font for headings, body part and menus from a wide range of google fonts. Sing up at least for Standard Membership Plan to get full version of the theme or just download lite version to try out sport WordPress theme SportLine.